One of our #MedusaLBC and World Book Night buddies has very kindly agreed to write up her review of the third book in the series – the explosive Mockingjay. Say Hi to @MissRadders here! Who do they think should pay for the unrest? Katniss. And what’s worse, President Snow has made it clear that no one else is safe either. Not Katniss’s family, not her friends, not the people of District 12. Katniss Everdeen has survived the Hunger Games twice. But she’s still not safe. 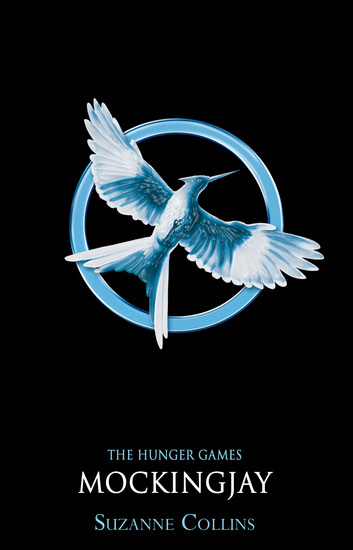 A revolution is unfolding and everyone, it seems, has had a hand in the carefully laid plans – everyone except Katniss. I, like most people I have spoken to, absolutely devoured the first two books in this series: the first was amazing, the second a little less so but still a great read. So I was keen to see what this, the final book in the trilogy, would bring. I wasn’t expecting hearts and flowers and a fairy-tale ending but even my hard Northern grit and composure were tested to the max along the way. The concluding part of the trilogy focuses on the aftermath of the Quarter Quell. Katniss finds herself in the (not unoccupied after all) District 13 where she is to become the public face of the rebellion. The first chapter sees her return to her home district, 12, devastated by the Capitol, homes ruined, residents killed. Katniss agrees to become the Mockingjay under the strict conditions that they grant immunity to the surviving tributes, including Peeta and give her the ultimate prize of assassinating the creepy, evil President Snow. The first part of the book is much less pacey than the Games scenes in the previous books and focuses on the politics and planning behind the rebellion. It sees the return of familiar characters; Haymitch, Gale, Finnick, Octavia, Venia, Flavius…all playing their part in the final battle. Love interest Peeta is in captivity at the Capitol. The slow(er) pace doesn’t detract from the novel. I loved the way Collins developed the characters here, probably the first time we’ve seen extended interactions between them outside of an arena. The second section of the book is much pacier, lots of combat scenes. Full of suspense. A trip to District 8 to film some propaganda commercials for the rebellion throws Katniss into the realities of war and Collins pulls no punches here. Characters are introduced, seeing Katniss arrival as a spark of hope, only to be snatched away in a few pages. It’s harsh, it’s cruel, it’s heart-wrenching; everything a war really is and Collins writes it so well. Then the war takes over. A Capitol attack on District 13 is unsuccessful due to a brave warning from the ever-faithful Peeta. Peeta is rescued by the rebels but returns showing all the signs of his ordeal and captivity. Then the big mission begins; first up the Capitol stronghold of District 2, then the final mission to the Capitol with the inevitable devastation and loss of life. The book ends back in District 13 where we finally find out how the Katniss-Gale-Peeta love triangle is resolved. Collins adds a short epilogue some 20 years hence updating us on the characters and their stories. The whole book oozes with Katniss’ guilt; guilt for Peeta, guilt for the weight of all the deaths she feels responsible for, the hopes of Panem weighing heavy on her shoulders. Throughout the book, Katniss comes of age. The girl who, in the previous two books, just got on with it and justified her actions to herself is much more reflective in this installment. She deliberates, she agonises, she pains and she suffers emotionally as well as physically. It’s an at times uncomfortable read; but a real read: a human read. Throughout, Katniss struggles to work out who she can truly trust as she is used as a pawn in a dangerous game. As we have come to expect the events are all televised, although in a more scripted way in this book. I can even find the adjectives to sum up my utter love for this book. For me the best book in the trilogy. I’ve read reviews that say that the book feels forced and rushed. I didn’t feel that. For me, this was a much more layered, intelligent novel. Politics, love, war, trust, betrayal, emotion, death, loss, suffering– this installment has it all. surveillance…Once you get this far with the series the characters are so well constructed you feel every emotion with them. Collins doesn’t shy away from the brutality of war at times this is a gruesome read. Mix in some truly terrifying Capitol creations and you won’t be able to put it down. believing what I’ve just read. Collins doesn’t wrap you up in cotton wool. Do people die: yes. Overall, this is a fitting conclusion to a fantastic trilogy. A look at the human cost of the Games, how the main characters deal with their survival and face their demons. I found the epilogue an unnecessary addition. I can see that for the teenage audience it was a goodway of tying up the loose ends but for me I’d rather it had been left at the end of the final chapter so that I could draw my own conclusions about what the future held. ‹ PreviousThe Terrifying World of Children’s Fiction.